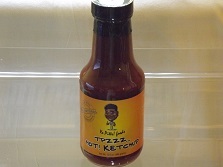 This is our premium tomato ketchup sauce made with a special blend of Lite Your Fire Spice Blends and Ghost Pepper Oil. 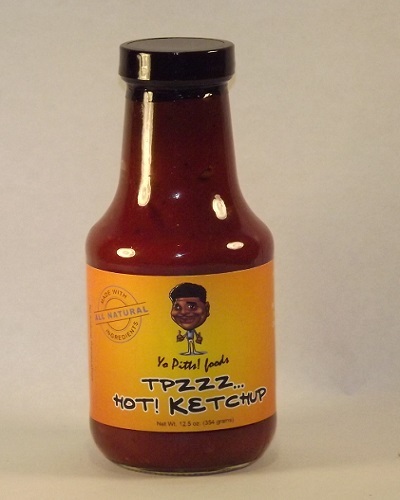 Think of it as your regular ketchup with an extra kick of full-flavored spices to take your snacks, burgers and sandwiches to the next level. 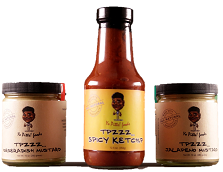 TPzzz Hot Ketchup is made using a blend of organic tomato sauce laced with our special Lite Your Fire Spice Blend containing chilli powder, red and black peppers, paprika and other secret spices. 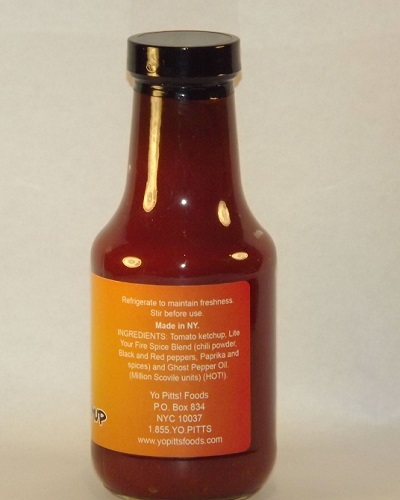 The spiciness of the Hot Ketchup comes from Ghost Pepper oil which is rated at a million Scovile units, hot enough to make your barbecue grills and burgers fire up with flavour! 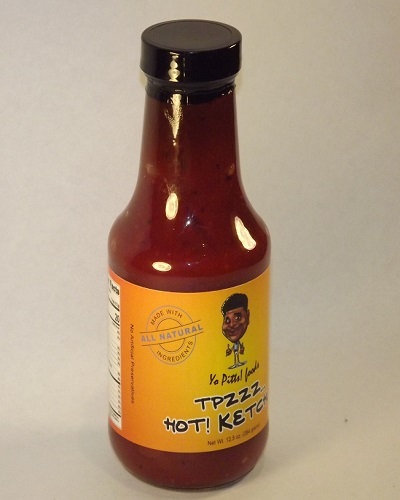 Not only is our hot ketchup spicy, it is completely made from natural, organic and locally sourced spices. 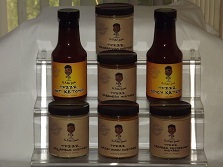 It is perfect as an accompaniment for your parties, special occasions and even spicing up your lunch box. 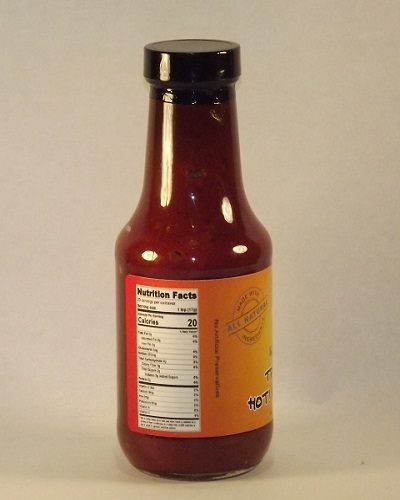 Our tomato ketchup is pureed from fresh tomatoes rich in lycopene that protects you from cardiovascular diseases and vitamins A, C and E that keep your body healthy. Our pepper blend is also rich in fiber, beta-carotene and vitamin D that reduce blood pressure and body cholesterol level. 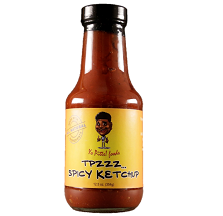 TPzzz Hot Ketchup is suitable for all kinds of diets including vegetarian and every serving has less than a single calorie while adding so many important nutrients and vitamins to your food. It is available in a 12.5-oz. bottle and we recommend that you keep it refrigerated after opening for maximum freshness.